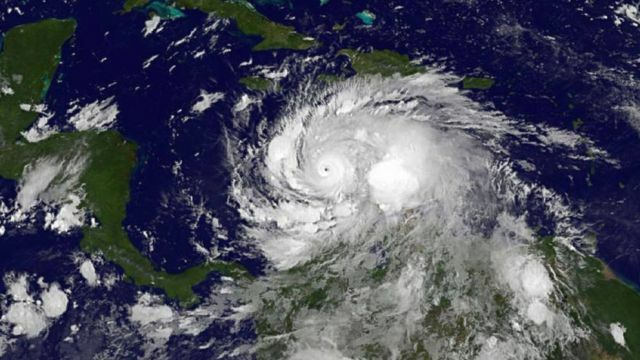 A Hurricane named Mathew after its devastating destruction in Haiti is traveling by a lightning speed of 140 mile-per-hour ahead. It is heading towards the Northwest ward. It is first such kind of powerful hurricane will smash U.S in the decade. The last storm struck at the country was Wilma; it smashed the Florida city with its intensity of 120 mile per hour in year 2005. Hurricane Ike, led to destruct Texas in 2008, The Sandy was extremely harsh which ramped into New Jersey in 2012. Mathew heads towards Bahamas with its powerful impact and increasing speed. And its on way to hit the northwest area of US, Citizens has already started to evacuate the place. As per weather forecast data, Mathew will be heading towards after brushing of Bahamas. Florida, Georgia, South Carolina and North Carolina are states going to witness the destruction sometime between Thursday evening and Saturday. The Mathew Hurricane will be the category 4 type till the time its reaches US.So loss and damage will be infinite. Citizens at US are rushing towards stores for supplies and can be seen evacuating their homes. Gas stations are filled with cars. Also tourists have been instructed to shorten their vacations due to this natural disaster. Kim Stenson, the state’s emergency management director, said Tuesday morning more than 1 million citizens might be affected by migration orders.